Oscar&Co. is about making every client feel as amazing as possible. Anything is possible. At Oscar&Co. - It’s just a question of experimenting, yet never losing sight of who you are. Above all don’t be too careful and always wear the hair that makes you feel beautiful. 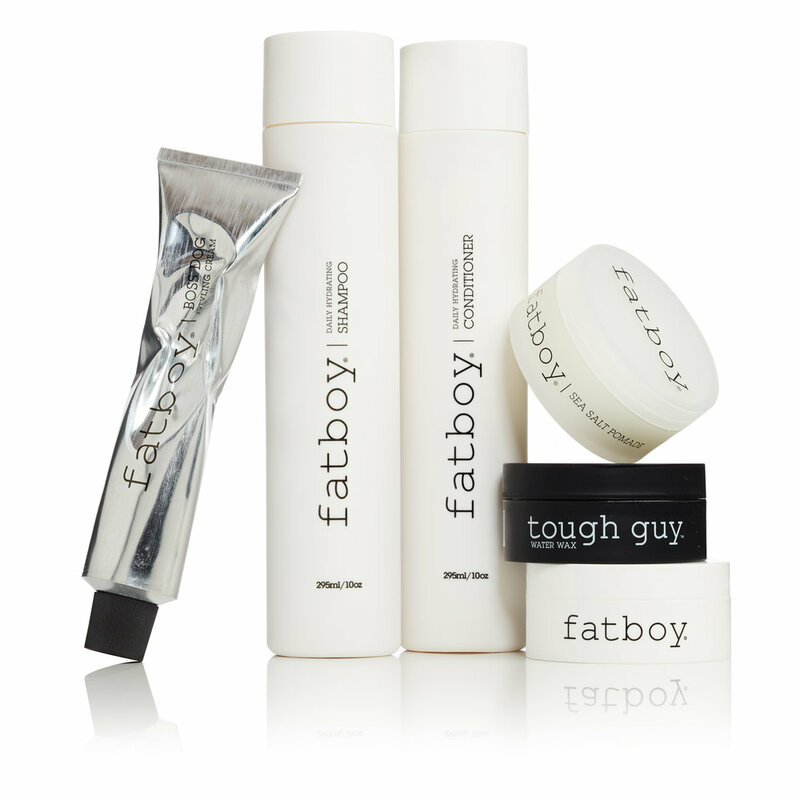 From our friends in New York and used by the Kardashians, you can't go wrong with the Fatboy range. Iles Formula is the luxury haircare brand created by celebrity hairstylist Wendy Iles. The 3 step range provides instant hair repair for all hair types. Redken 5th Avenue NYC is a professional haircare and hair color company dedicated to providing inspiring education, ground breaking products and unparalleled creativity for clients and stylists alike. With a backstage presence at Fashion Week in New York, London, New Zealand, Milan and Paris, Redken creates the buzz, sets the pace and establishes what’s new, what’s hot and what’s next in hair. Good hair day, everyday. Professional ghd hair straighteners for smooth, sleek, healthy looking style that lasts. Beautiful hair starts with the perfect tools. Ashley & Co re-defines traditional household objects and ideas, giving them a contemporary twist. From the packaging to the ingredients, the products produced are both for ones enjoyment and importantly necessary to the completeness of ones home. Ashley & Co evokes an ambiance of warmth and familiarity. OSCAR&CO. is an innovative boutique salon in Takapuna. The team that work there are incredibly supportive, skillful and are absolutely driven to create beautiful hair and exceptional service. The culture at OSCAR&CO. is very fashion orientated, enthusiastic, passionate and fun through team personalities, common goals, ideals and values as well as common interests in hair, fashion and music. We communicate consistently, acknowledging high performance around creativity and individual as well as team growth. We have seasonal updates with experts in fashion and make up to keep stylists up to date and inspired. OSCAR&CO. has the tools, systems, and a high level development programme to help stylists further upskill with a strong client focus. Stylists are eager on education and strive to represent OSCAR&CO. as a progressive and successful salon viewed by clients and its own team members. So we would like to hear from someone who is happy, highly motivated, passionate and always willing to learn.